Wisdom teeth usually come in between 18 and 25 years of age as the last set of molars. These teeth often cause alignment issues and crowd other teeth. Sometimes they even cause damage to the surface of the teeth around them due to the way the wisdom teeth are positioned. Because of these problems, most people end up needing to have them removed at some point. Surgical extraction of teeth can often cause you to experience bad breath, which can be worrisome. A lot of people experience bad breath after removing wisdom teeth, which can be caused by a number of reasons and improved by a number of methods. Why Would I Have Bad Breath After Wisdom Teeth Removal? Bleeding from the extraction site can cause both an odor and an unpleasant taste in your mouth. Sipping water can help after you have stopped bleeding. After 24 hours, you can use mouthwash or warm salt water to rinse your mouth. Mouthwash should not be used during the first 24 hours. Not being able to brush your teeth or floss thoroughly during the first couple of days after extraction can also cause bad breath. It is important that the site remains undisturbed during initial healing. Taking prescribed pain medications can cause bad breath by making your mouth dry. This can be improved by keeping yourself well hydrated. If you develop a bad taste in your mouth or increased bad breath two days after wisdom teeth removal, you might have dry socket. This occurs when your nerve tissue and bone is exposed after a blood clot comes out of the extraction site. After you have a tooth removed, you are more susceptible to getting an infection, which can cause bad breath. You can prevent an infection by keeping particles of food away from the extraction site and following the instructions given by your dentist. Bad breath caused by wisdom teeth removal will improve as you heal. If you notice that you continue to have bad breath, mouth odor, or find that the site that previously had the wisdom tooth tastes bad after a couple of days, seek medical attention. A water pick can effectively clean food particles from the tooth socket left by the wisdom tooth using high-pressured water spray. 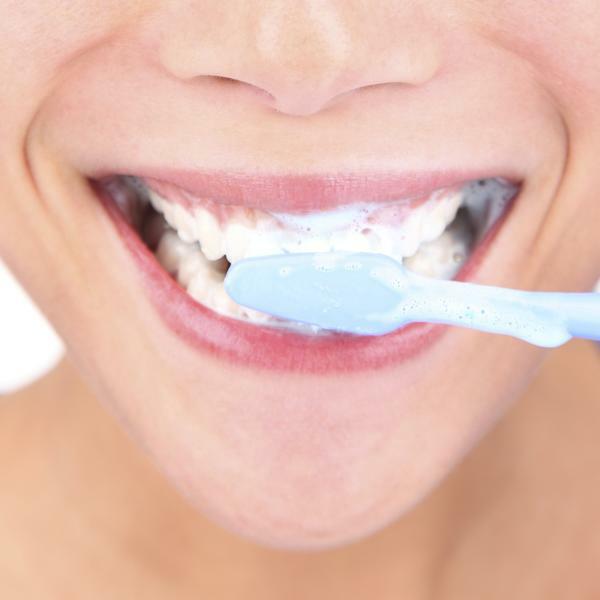 Rinsing with antiseptic mouthwash is an effective way to remove bacteria from your mouth after eating. Using a straw with sweet drinks helps prevent your teeth from being exposed to bacteria, which can cause bad breath. Rinse your mouth with salt water a few times a day in order to kill bacteria in your mouth. Be sure to avoid swallowing it. When brushing your teeth, be sure to avoid irritating the extraction site. Brush at least twice a day. Eat foods that are crunchy. Call your dentist if pain or bad breath continues after three days following the extraction. What Causes Pimple on Your Tongue and How to Treat? Can You Get a Cold Sore from Kissing? How Much Do Fillings Cost?